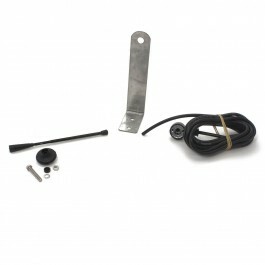 Increase receiver range up to 300 ft with this tuned antenna kit. This FAAC tuned antenna receiver kit comes with a gate mount bracket, 16 feet of coaxial cable, and a 10.5 inch whip antenna. This kit can be used with the 1RP418DS receiver to increase the detection range from a maximum of 100 feet to up to 300 feet for the FAAC single and dual button transmitters. Used to increase the range of the RP receivers / XF / XR.